On the web app, scroll down to see the Exported Reports section on the lower right sidebar. Click Manage to view a list of all the reports you've run. 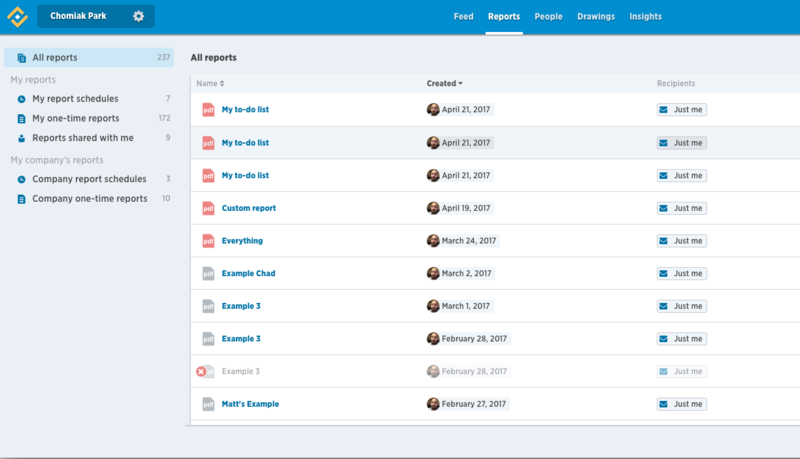 You can view scheduled reports, one-time reports and any reports that have been shared with you. If you're a Company Administrator you'll also see reports run by others in your company.